Our label sheets help minimize your ink usage, load easily, and make sure patients see your store’s identity and key contact information. Since your labels and information forms are often seen daily by your customers, the right custom form is perhaps the most important thing you can do to maximize your store’s brand impact. 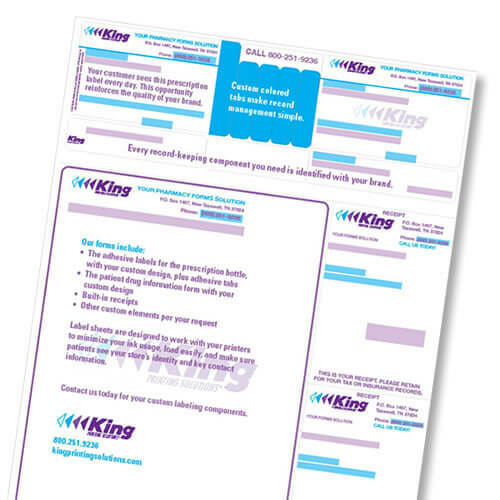 To learn more, contact a King Printing Solutions representative.